TVS Apache RTR 160 4V | RR RED | most detailed review | price | features | mileage !!! 2018 Tata Tiago Wizz | White Black | detailed review | price | features | specifications !!! 2018 Suzuki Lets | most detailed review | features | price | specifications !!! 2018 Mahindra Thar CRDe 4x4 | RED | most detailed review | price | mileage | features !!! TVS Dazz | walkaround review | actual look !!! 2018 Honda Jazz VX CVT Digipad 2.0 | infotainment system review | features | specifications !!! 2018 Maruti Suzuki Dzire | accessories | detailed review | features | price !!!!! 2018 Hero Karizma ZMR | walkaround review | actual look !!! 2018 Honda Grazia | most detailed review | price | features | mileage !!!! 2018 TVS Apache RTR 200 4V Race Edition 2.0 | grey | detailed review | price | features !!! 2018 Bajaj CT 100 Electric Start | most detailed review | price | mileage | features !!! 2018 Hyundai Tucson 4WD Automatic GLS | most detailed review | features | specs !!!! Steelbird SBH 10 Bunker helmet | unboxing & features roundup !!!!! 2018 Mahindra Imperio | most detailed review | features | specifications | price !!!! 2018 Yamaha RayZR Street Rally | actual look | walkaround review !!!! 2018 Honda Jazz | launched | most detailed review | price | features | specifications !!! 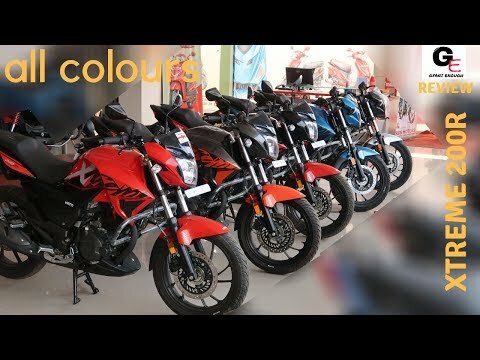 2018 Suzuki Burgman Street 125cc | launched | most detailed review | price | mileage | features !! 2018 Toyota Etios Liva | most detailed review | price | mileage | features | specs !!! 2018 Honda Activa 125 | led headlamp | most detailed review | price | mileage | features | specs !! 2018 Yamaha Saluto 125 | most detailed review | price | mileage | features !!! 2018 Mahindra Scorpio S11 black | most detailed review | features | specs | price !!!!! 2018 Hyundai i20 Active SX | most detailed review | price | interiors | features !!! 2018 Tata Nexon XZ+ with Aktiv accessories pack | detailed review | features | price | specs !!! 2018 Bajaj Pulsar 150 Classic | most detailed review | features | price | specifications !!! 2018 Mahindra TUV 300 Plus P8 | 9 seater | most detailed review | features | mileage | specs !!! 2018 Hyundai Xcent SX | most detailed review | features | price | specifications !!!! 2018 BMW 6 Series GT 630i Sport Line | most detailed review | features | price | specs !!! 2018 Suzuki Hayabusa GSX1300R White Red | actual look | walkaround review !!! 2018 Jeep Compass Sport Bedrock Edition | most detailed review | price | mileage | features !!! 2018 Bajaj Dominar 400 ABS | Glacier Blue | most detailed review | features | mileage | price !!! BMW i8 interiors | walkaround review | actual look !!!! 2018 Bajaj Discover 125cc | disc brakes | led drl | BS4 AHO | detailed review in hindi !!! 2018 Suzuki Burgman Street 125cc Scooter | white | walkaround review | actual look !!! Audi R8 | walkaround review | features | specifications !!! !